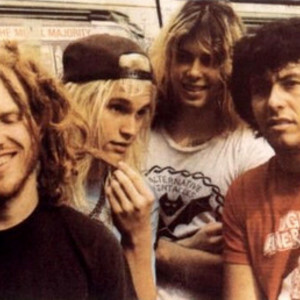 Founded by three teenagers in Raleigh, North Carolina in 1982, Corrosion of Conformity began as an underground band and went on to transform heavy music, challenging boundaries and serving as what Decibel Magazine called ?a crucial stylistic lynchpin in the bridge between metal and punk? that ?irrevocably reshaped crossover's sonic possibilities.? Thirty years and many changes later, COC's original trio is back with a self-titled release for London-based independent Candlelight Records. Thirty years and many changes later, COC's original trio is back with a self-titled release for London-based independent Candlelight Records. ?Corrosion of Conformity isn't a comeback album or an example of diminishing returns,? Invisible Oranges observed. ?It's a testament to immense talent and the elusive endowment of staying power.? In the summer of 2010, COC's founding members?bassist/vocalist Mike Dean, drummer/vocalist Reed Mullin and guitarist Woody Weatherman?gathered at Weatherman's farm in Virginia to get to work again after a five-year hiatus. With longtime vocalist/guitarist Pepper Keenan busy working with metal supergroup Down back home in New Orleans, COC began playing together as a three-piece for the first time since the mid-1980s. That's the same lineup behind 1985's Animosity, widely considered a crossover classic. While the trio re-visited songs from that album and 1987's Technocracy, this was not just an exercise in nostalgia, and they soon began writing new material. ?It was a little strange at first but pretty quickly it felt like we hadn't missed a beat,? recalled Dean. After touring the U.S. and Europe with bands including Goatsnake and Clutch, and appearances at festivals like Deathfest and Roadburn,, COC joined with longtime producer John Custer in early 2011 to begin recording what would be the band's first release since 2005's critically acclaimed In the Arms of God, which featured Stanton Moore of Galactic on the drums filling in for an injured Mullin. COC recorded all 11 tracks at Dave Grohl's Studio 606 in Los Angeles with help from Foo Fighters' engineer John Lousteau. During the sessions, Custer commented on COC's uncanny ability when in the studio to ?behave as a single organism.? Corrosion of Conformity was officially released on February 28, 2012, with artwork that features a revamp of the band's iconic spiked-skull logo by Seldon Hunt (Melvins, High on Fire). Critics and fans alike have greeted it warmly. ?Corrosion of Conformity not only brings back one of heavy rock's most seminal and defining bands, but it pushes that band into new ground it's never yet known,? observed The Obelisk. ?The achievement is substantial, the performances crisp, the production clear but organic, but sure enough, these elements and the varied aesthetic of the band come together to create something wholly stronger than its parts.? Corrosion of Conformity is the band's first release with Candlelight, which has also hosted bands including Opeth and Orange Goblin. ?Animosity?is one of my favorite records ever,? said Candlelight's Steve Beatty. ?To have COC on Candlelight with that line-up is simply mouthwatering.? The band plans to embark on a world tour starting in the United States in March 2012, including three performances at this year's SXSW Music Conference in Austin. Joining them for most of those U.S. dates will be Torche, Valient Thorr and A Storm of Light?a lineup that Dean noted is ?really compatible without every band doing the same thing.? COC will then head to Europe and the UK with Black Cobra and Zoroaster. The original members of COC are excited to be working together again. ?Mike, Woody and I essentially learned how to play music together and cultivated our own style, sound, and unspoken language,? said Mullin. ?Re-bonding with them musically has been the greatest thing that's ever happened to me.? ?